Peachtree Publishing Company, 9781561455577, 32pp. 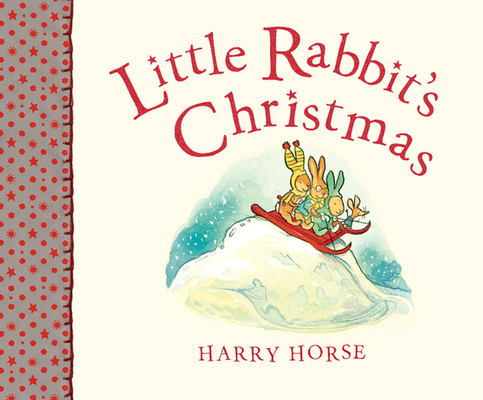 It is Christmas Eve and Little Rabbit sees the perfect gift in a shop window: a lovely red sled. On Christmas morning the red sled is waiting for Little Rabbit, courtesy of the Christmas Rabbit. Little Rabbit cannot wait to try it out and show it off to his friends. Everyone begs him for a turn, and Little Rabbit goes off in a huff to sled alone. But when a fast hill and a frozen stream spell trouble for Little Rabbit, he quickly learns the value of friendship. Young readers will relate to Little Rabbit's latest predicament as he navigates a tricky situation and copes with complex feelings while learning an important lesson about sharing. Harry Horse's colorful and buoyant illustrations vividly bring to life the indomitable hero in this gently reassuring story.